Introduction In November 2018 I was lucky enough to win a VEMIA auction. 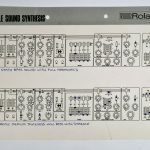 Not a vintage analog synthesizer, as they are too expensive, but a set of original Roland SH-5 Patch Sheets. 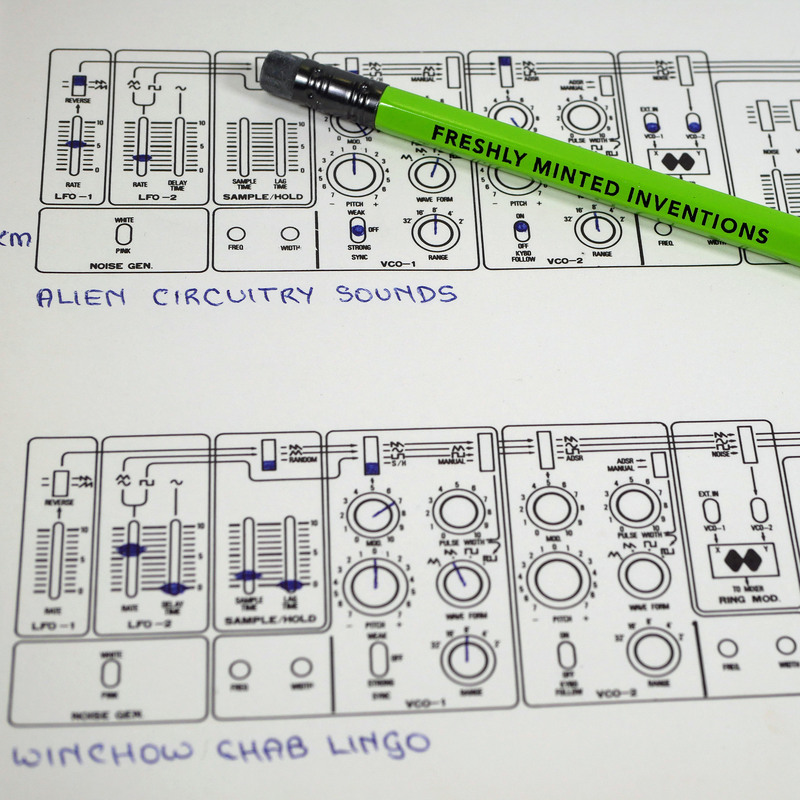 231 patches for this amazing synthesizer, written by hand on official Roland patch sheets between 1977 and 1983. 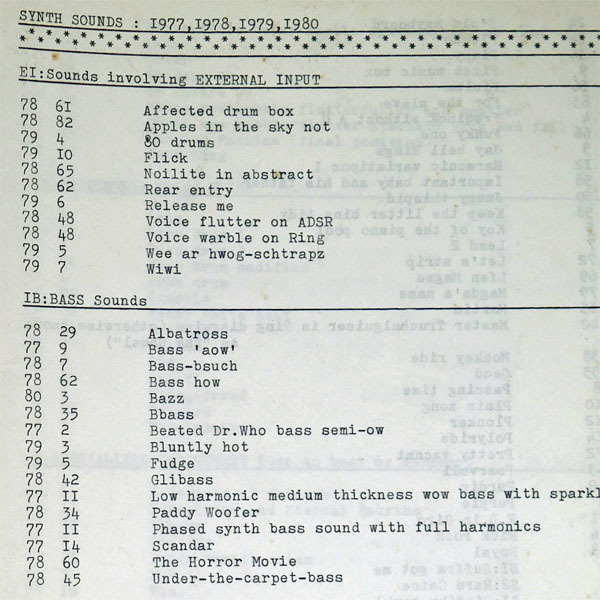 Each patch carefully documented and grouped into 13 categories from BASS to ANIMALS. 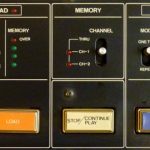 There is unfortunately no record of who created this amazing archive of sound, but I guess they bought their SH-5 in 1977, a year after it was launched in Spring 1976. They would have paid around £900 new (around £5k today! ), which was well beyond my means at the time as a university student. Patch Sheet Detail These are printed in monotone with a light grey header featuring the Roland logo on the right and Sample Sound Synthesis to the left in caps. 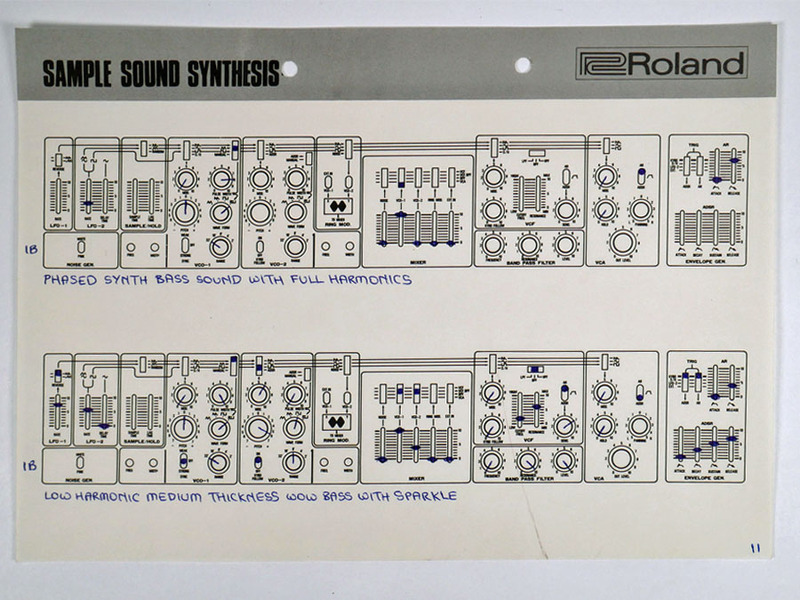 Must be the first time Roland used the word Sample, and the contemporary 100M and 100 patch sheets do not use this name. The patch sheets are nicely printed on a traditional Japanese Shirokuan paper size of approximately 189 x 262 mm. They are single sided and contain two patches, using a graphical representation of the SH-5 front panel. Patch Archive I have written up all the patches into a spreadsheet, and reproduced the complete set of patches on newly created SH-5 Patch Sheets (designed in Adobe Illustrator). This will be available as a digital download book, along with blank SH-5 Patch Sheets. 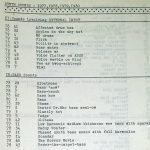 I have also translated the patches (and tried them out!) 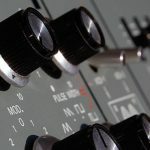 on an AMSynths SH05 Modular version of the SH-5, and these patches are also available as a digital download book. 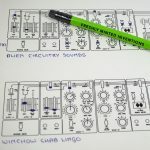 This means musicians using either the original SH-5 or the new SH05 can explore and enjoy over 200 sounds from a very creative individual. SH-5 Service Manual The patches came with an original Roland service manual, printed on thin almost clear paper. 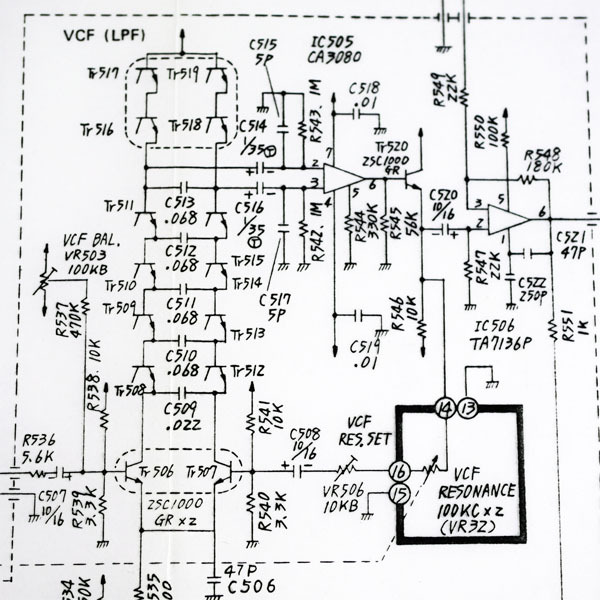 A higher quality than the photocopied version on the Internet (which is a Roland scan), with fold out large pages for the circuit diagrams. It is exactly the same document from 30 October 1976, with hand written Japanese annotations. This original manual was stapled together but the staples have been removed, and there is no front cover, which would have been like the SH-3A service manual cover. Great – I saw that on Vemia aswell and wanted to bid for my SH5.. Please send me the patches and sheets. Or tell me how much they cost. Hi, the SH5 patches will be available as a digital download once we have transcribed and checked them. There are over 300 so it will take a few weeks! 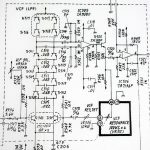 I got here through a post on Gearslutz and ua726.co.uk about the system 100m. I too have an SH-5 and also might be interested in the parch sheets (don’t mind paying of course). 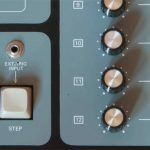 amsynths – thanks for doing this! Looking forward trying these on my SH5!